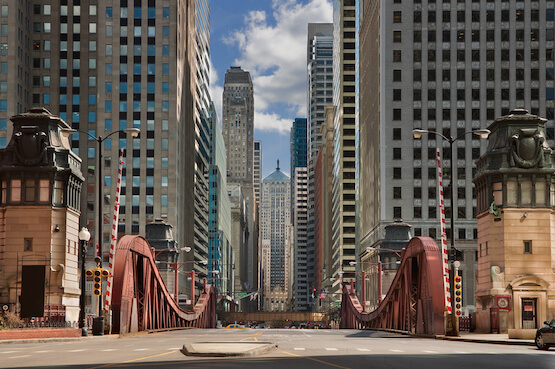 Want to drive the Mother Road from Chicago to LA? Want to do it a slower pace, and explore a little further off the beaten track? Then this is the itinerary for you. En route, we recommend that you fill up with gas and delicious soda at "Pops", this is an iconic Route 66 stop-off located in the town of Acadia. 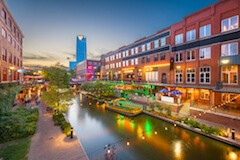 Once you've arrived in Oklahoma, we recommend you visit the Bricktown District of the city for a bite to eat at one numerous diners and restaurants found here. Lastly, before turning in for the evening, consider visiting the Oklahoma City National Memorial which remembers the victims and survivors of the 1995 Oklahoma City bombing. This perfectly executed dedication is especially moving at night. Spend the morning at the amazing National Cowboy and Western Museum, before checking out the real life cowboys over in Stockyard City. If you still have the energy, then the daring amongst you might want to check out some of the activities at Riversport Adventure Park. As always, remember that your Road Trip Pack will inform you of all the attractions options that are located in the area. 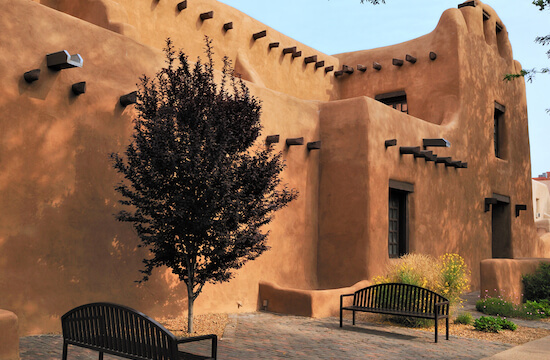 A full day of relaxation in the chilled out atmosphere of Santa Fe. 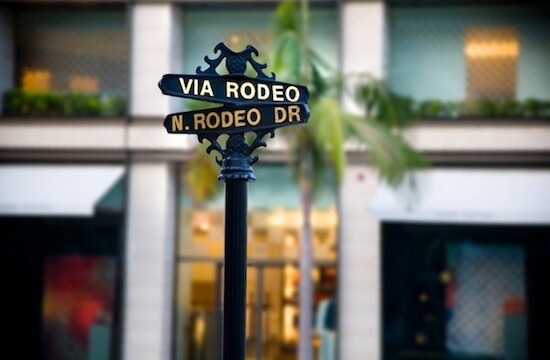 Spend the day by the pool or shopping in some of the local boutiques. 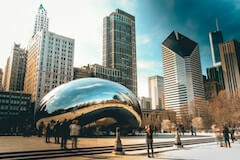 Art-lovers might want to hunt out some culture at one of the cities many galleries, a favourite of the ARTCo team is the amazing Georgia O'Keeffe Museum. 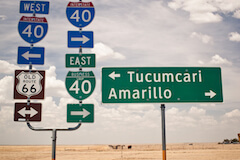 Put your spurs and chaps on, and head west to classic cowboy country. Witness the proud and majestic “Mittens”, which appear to be made up of every shade of orange and red possible. This is another chance to prove your photography skills, although the scenery is so stunning that even a novice will look like a pro. 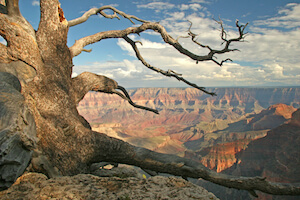 The worlds largest and most well known geological wonder is just staggering, welcome to Grand Canyon National Park. Two billion years in the making, the Colorado River has forged a mile deep, 18 miles wide and 277-mile long gauge into Arizona. En route, you can opt to detour to Page, where you'll find further natural wonders like Antelope Canyon and Horseshoe Bend. Worth an early start in our humble opinion. After watching the sunrise over the Grand Canyon, you'll leave the National Park and head south to Williams and then west along Old Route 66. 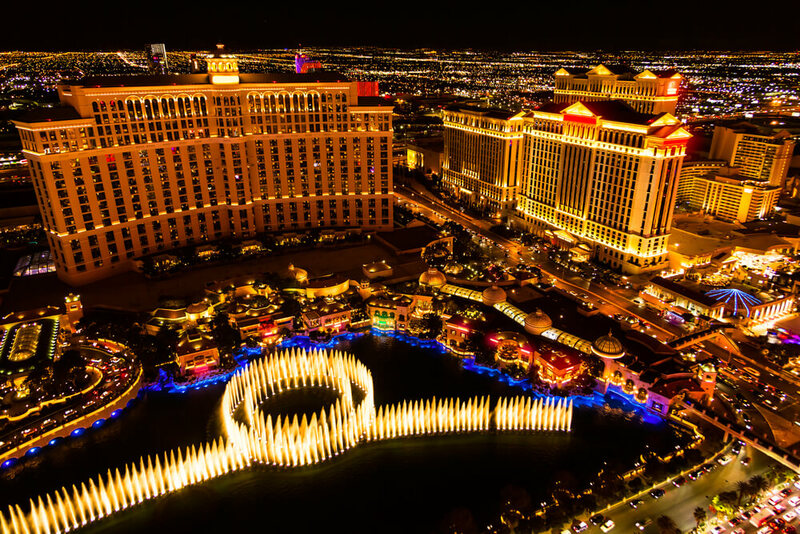 You'll pass through iconic Route 66 towns like Seligman and Hackberry, before passing the Hoover Dam and entering the most legendary party town on the planet - Las Vegas. 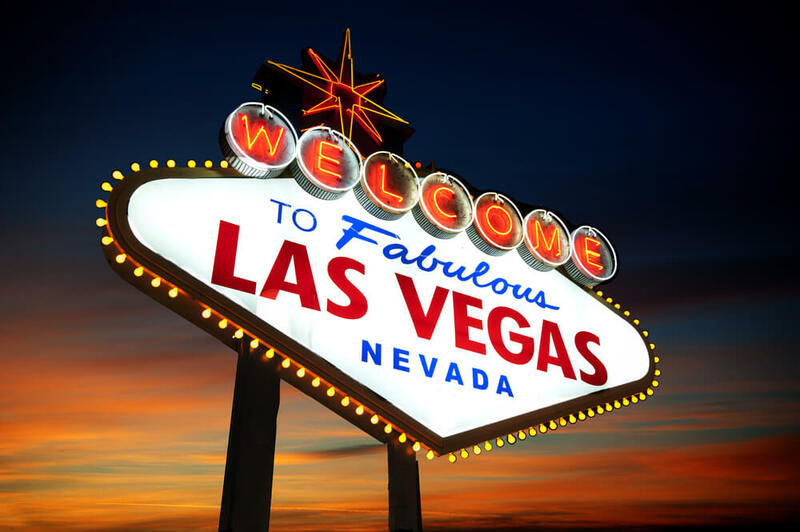 Enjoy your first full day in Las Vegas. If your head hurts after a big night out, then why not just chill by one of the amazing pools that adorn every hotel. Alternatively, you may want to explore the legendary 'Strip', book tickets to see a show or shop until you drop. Wake up for a final day of luxury in Las Vegas. With so many first-class hotels, restaurants and entertainment to choose from you'll have plenty to keep you busy. As always, your Road Trip Pack will tell you all the available options. Start the day by driving through the serene and super pretty Mojave Desert. Continue south and you'll then enter the unique and crazy world of Joshua Tree National Park, which looks like something straight out of a Dr. Suess book. 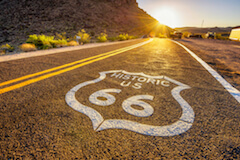 In between these two amazing desert experiences is the classic Route 66 town of Amboy, be sure to stop by the iconic Roy's Motel and Cafe along the way. Once you've arrived in Palm Springs, you can either spend some time relaxing by the pool or you can go exploring the city's neighbourhoods for the classic 50's architecture homes that adorn the city's streets. Last stop - Santa Monica! The Santa Monica Pier signals the final stop of your Route 66 holiday. To celebrate the conclusion of your journey, we suggest you enjoy a rewarding meal at one of the Pier's many eateries that overlook the Pacific Ocean. Enjoy your final full day in vibrant Los Angeles. 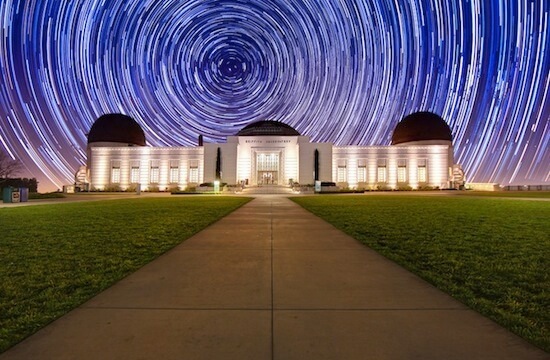 Why not spend sometime discovering millionaire, celebrity homes in Beverly Hills. Or, maybe you'd prefer to enjoy the world-class architecture and artwork found at the amazing Getty Center in Bel-Air. 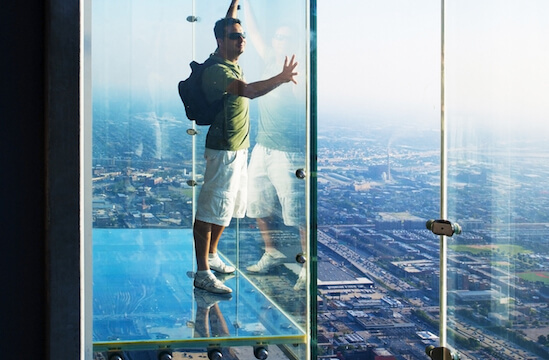 Tonight, perhaps have dinner in downtown Los Angeles, as you take in the skyscraper scenery. 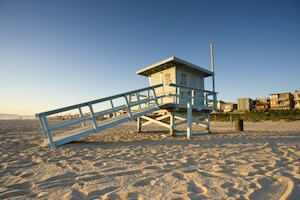 Tomorrow you’ll fly home from LAX after spending the morning finishing off any final sightseeing or shopping. 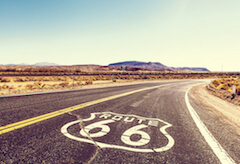 Don't forget to check out this road trip's Itinerary tab to see more amazing pictures from our "Ultimate Route 66" tour. 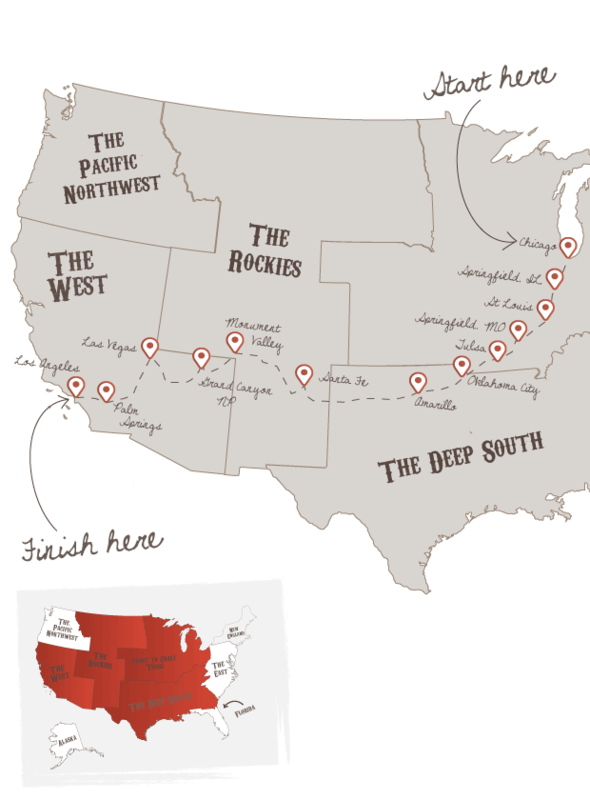 You'll also be able to read a little bit about what you'll be getting up to on each day of this incredible road trip adventure.